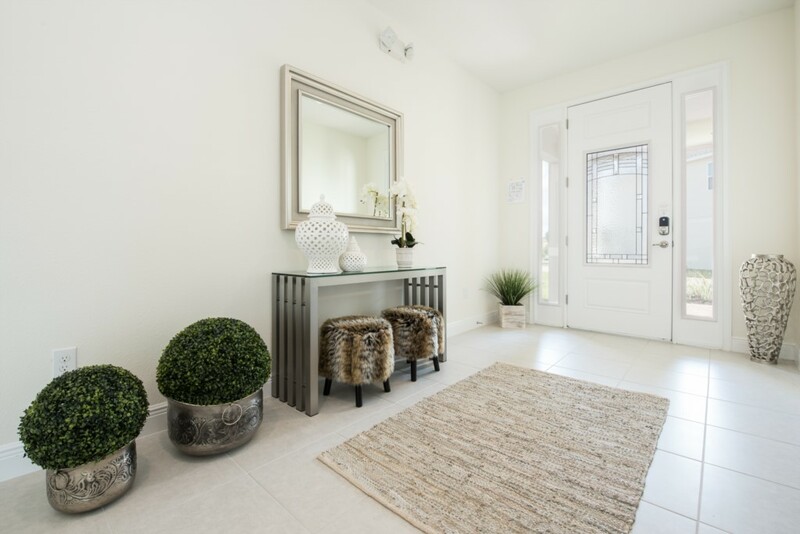 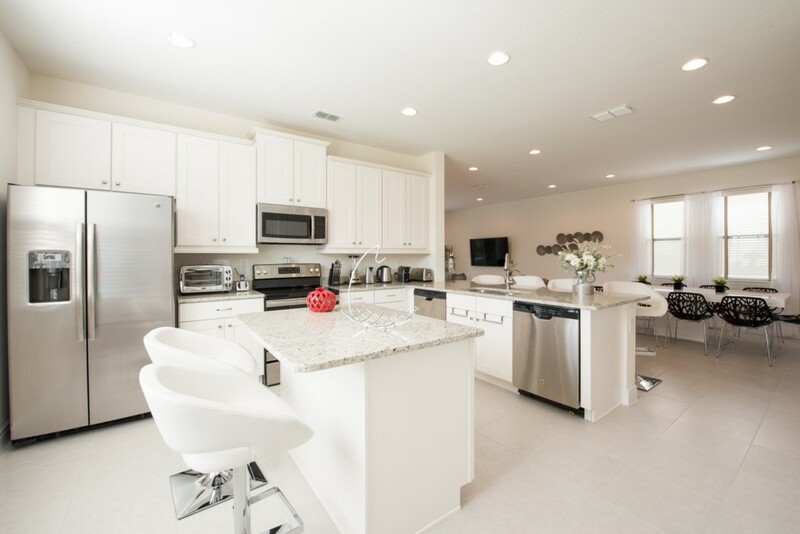 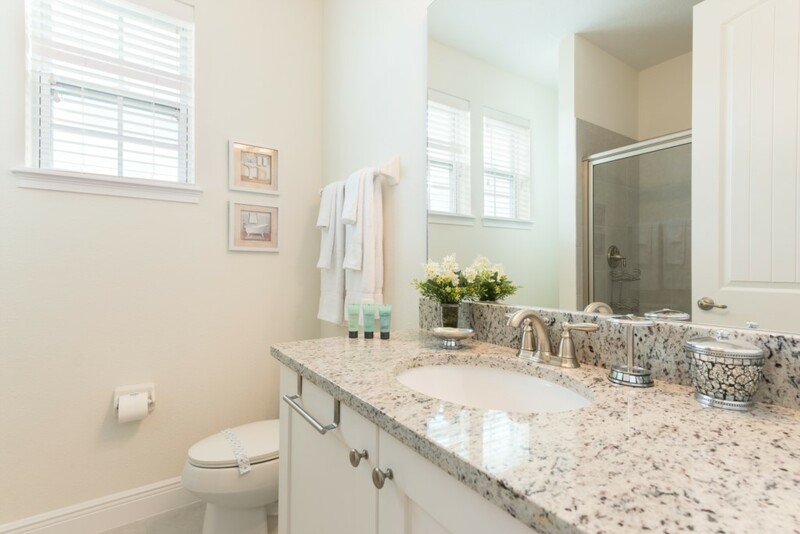 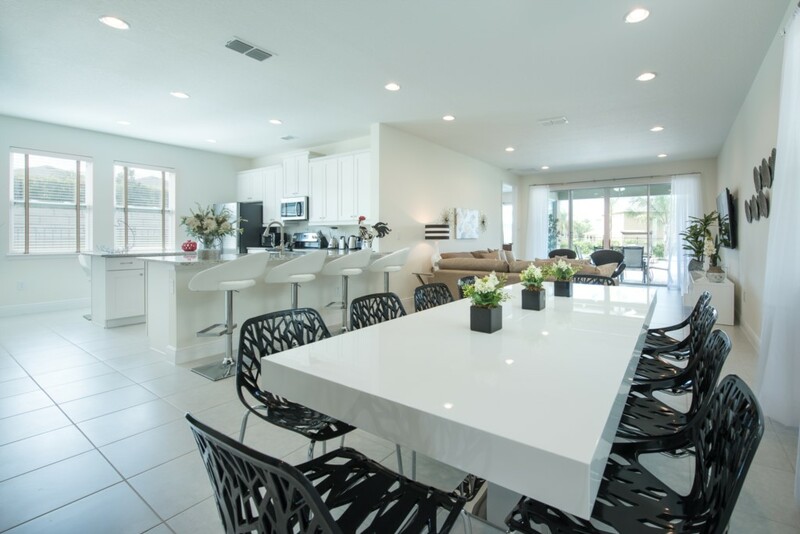 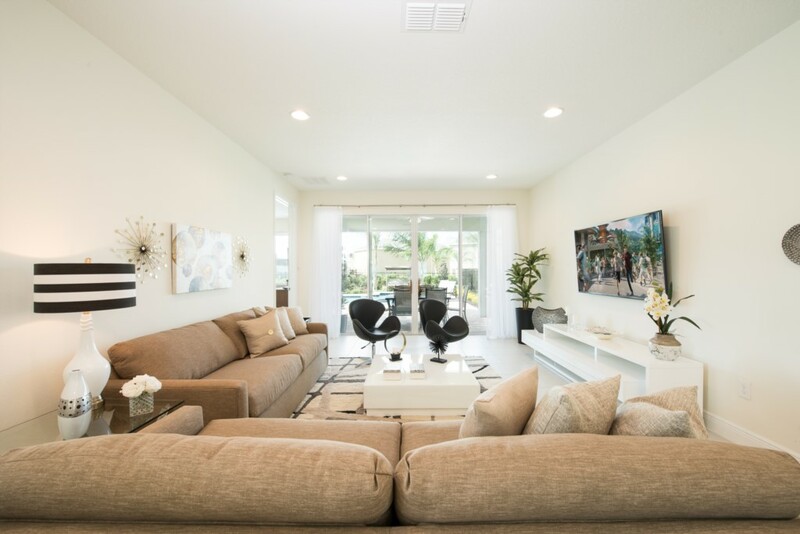 This modern 6 bedroom villa is located at the Encore Club, less than a 10 minute drive to the happiest place on Earth! 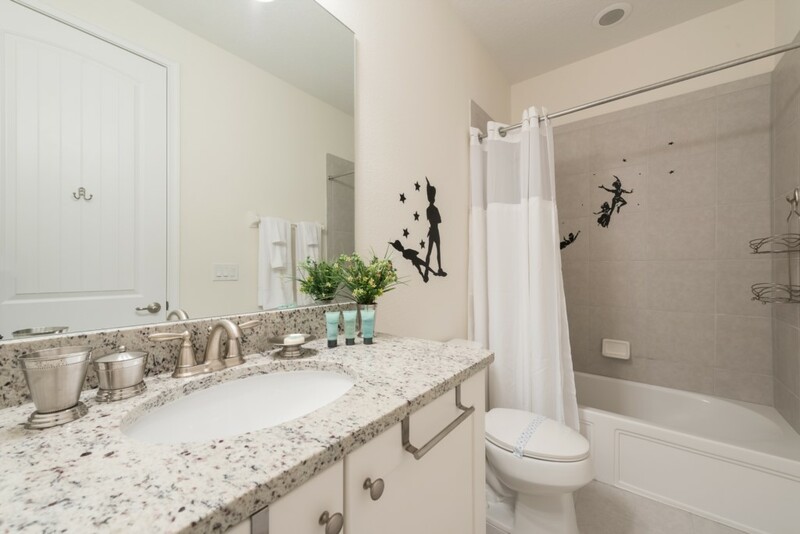 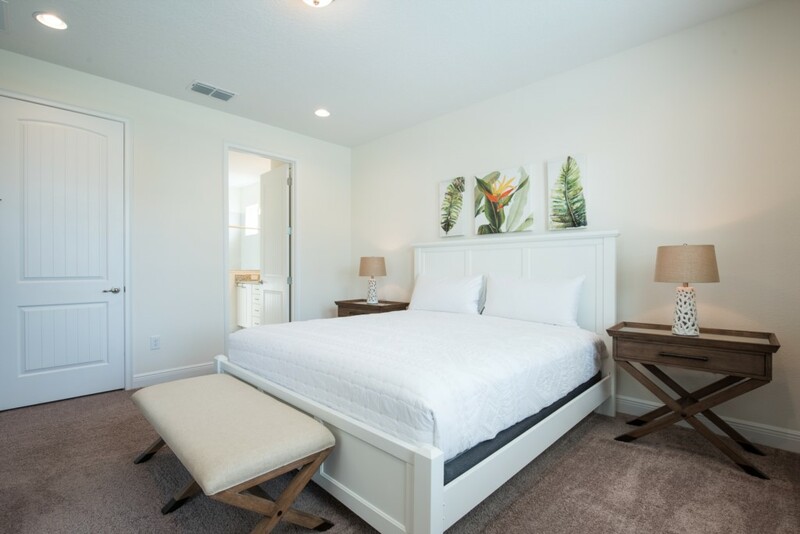 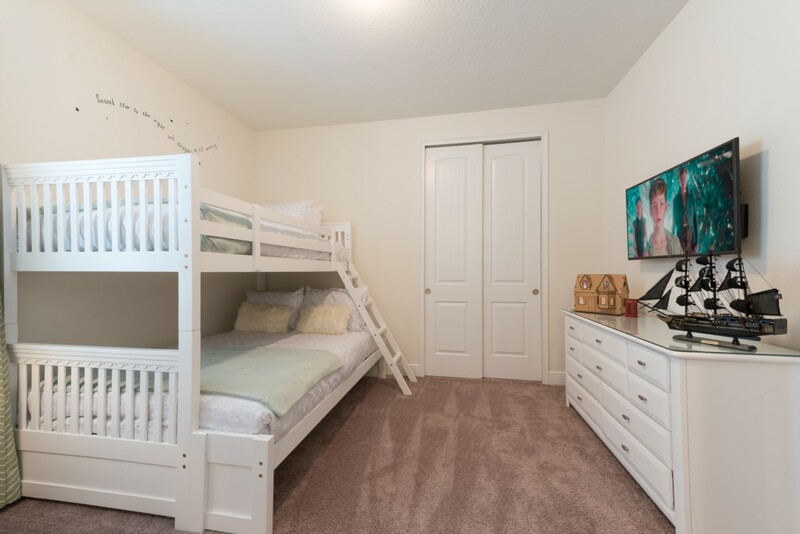 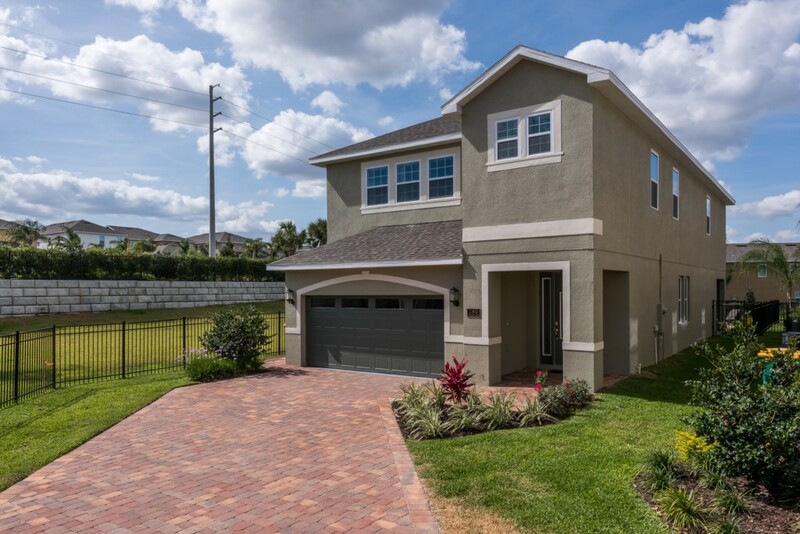 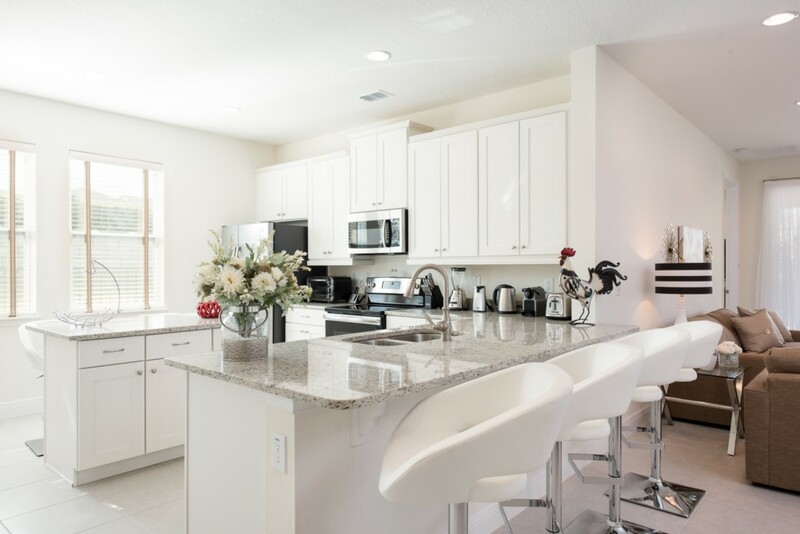 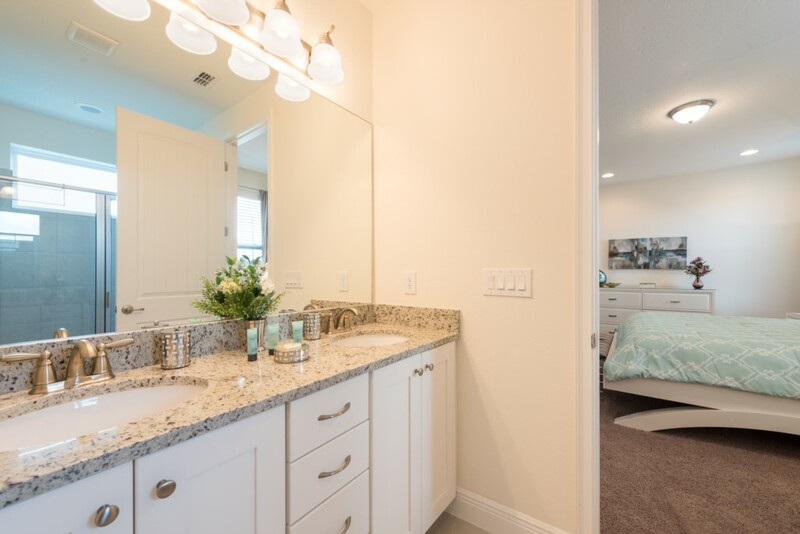 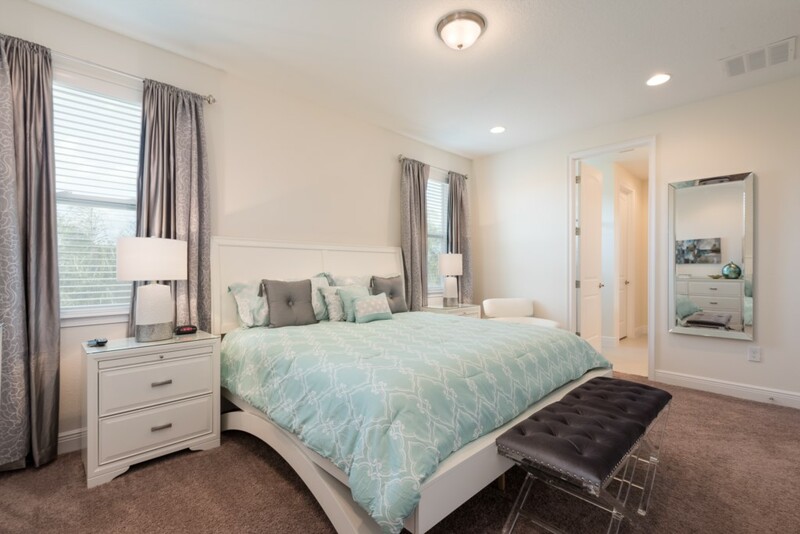 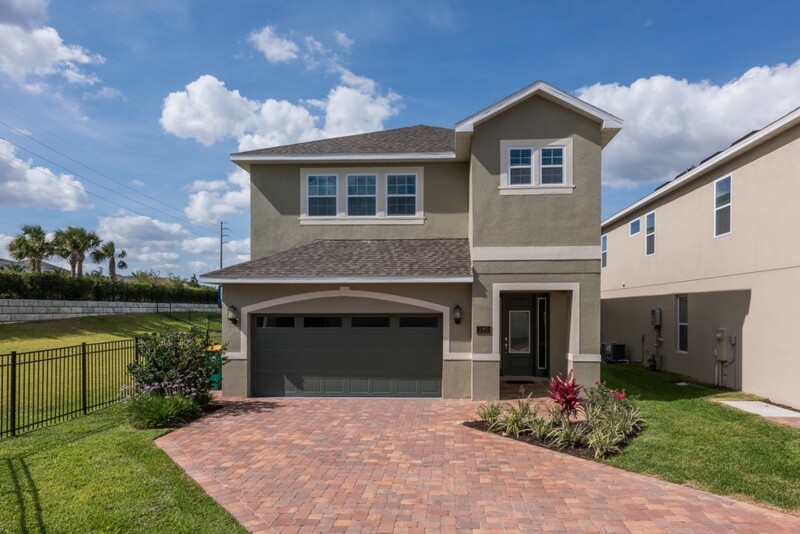 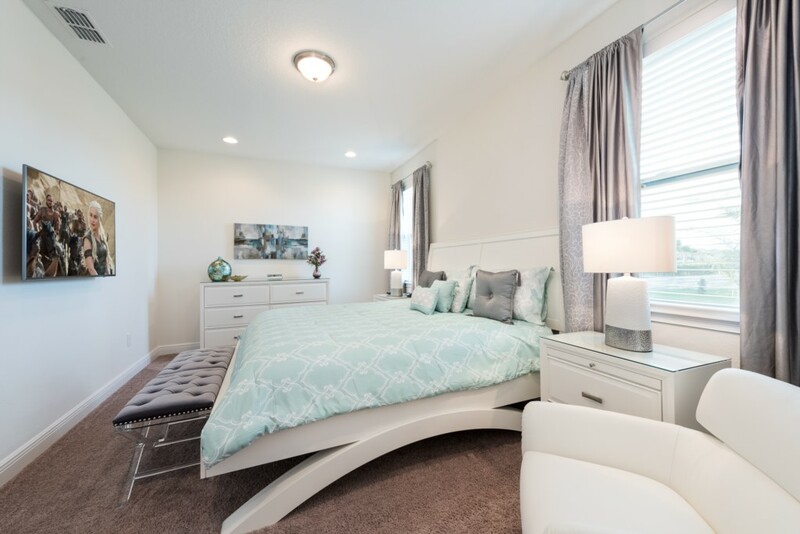 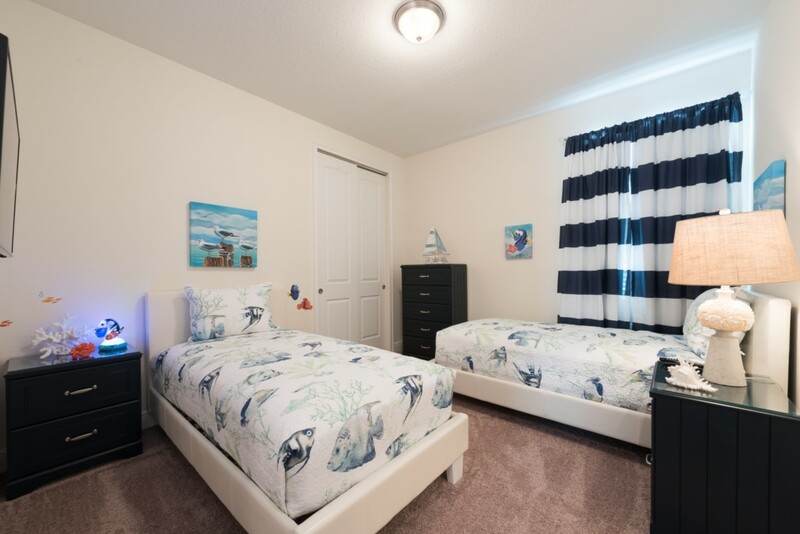 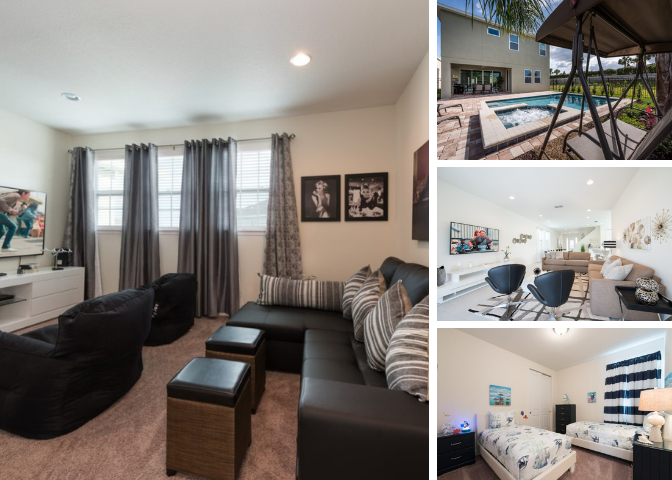 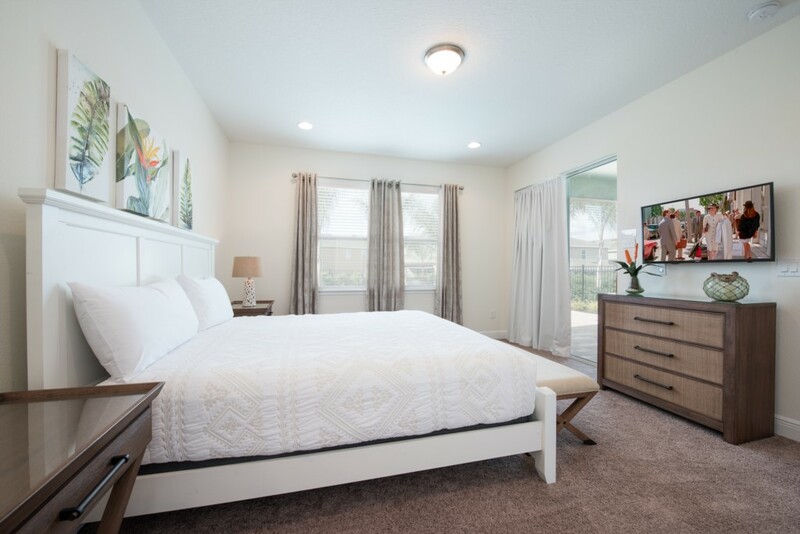 You and your family can visit all 4 incredible theme parks and also enjoy exclusive amenities right on property such as the clubhouse with a fitness center and the Aqua park with drop slides! 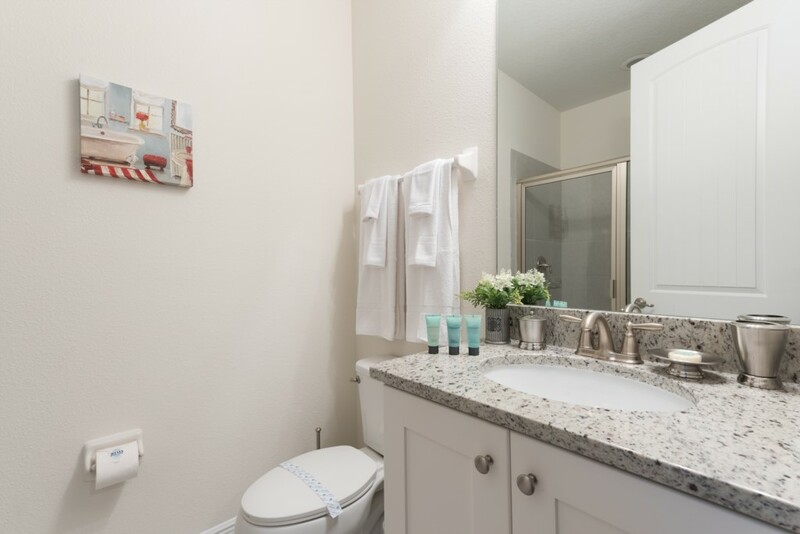 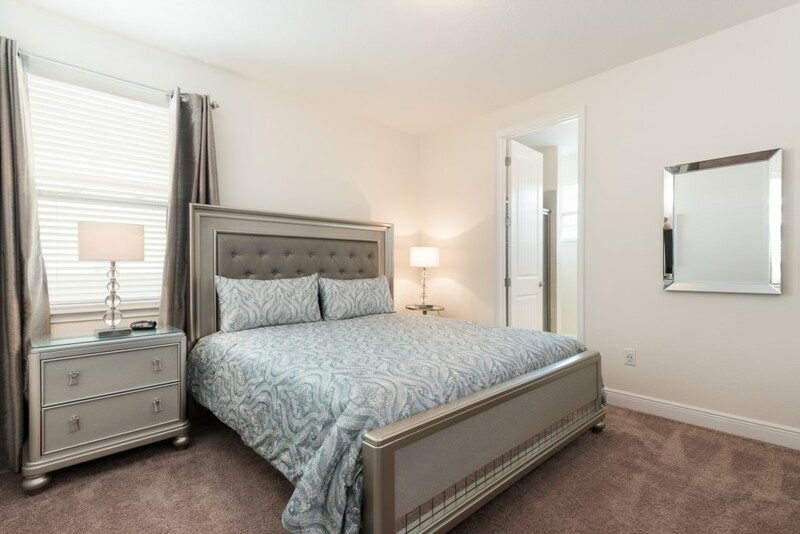 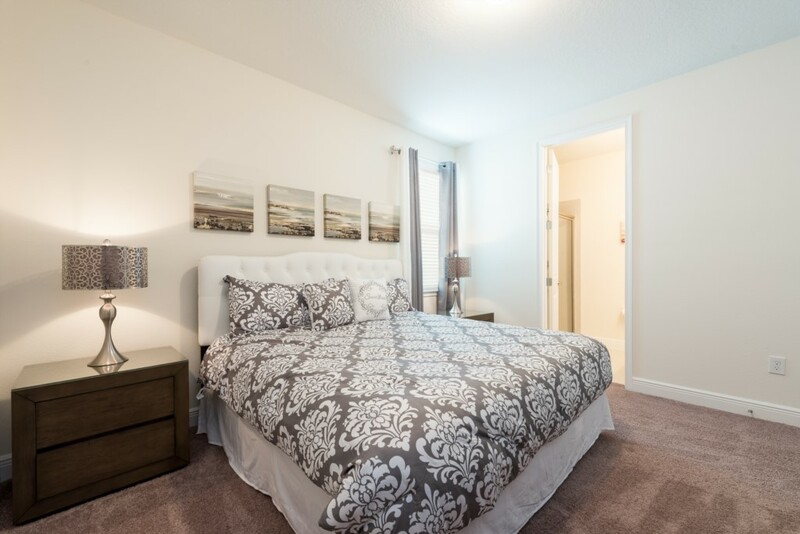 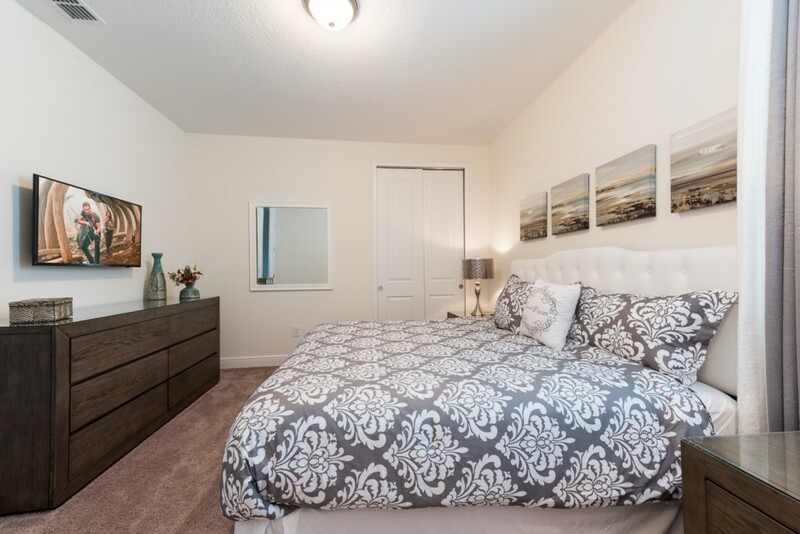 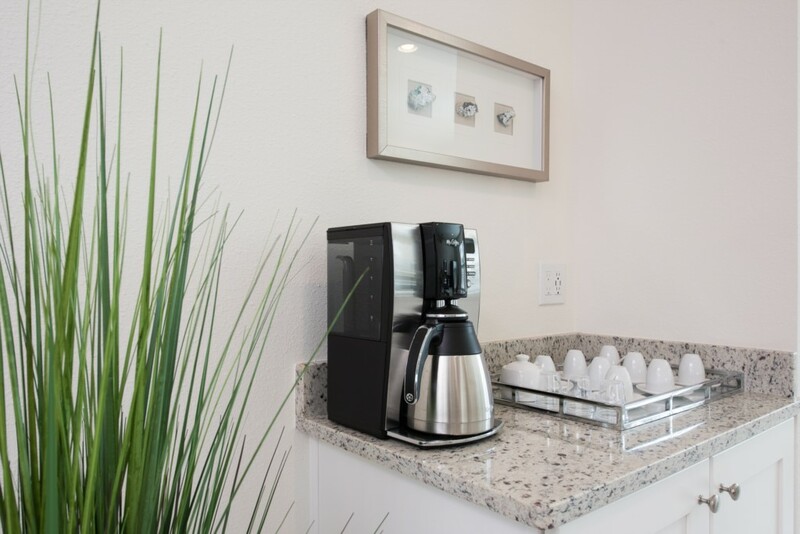 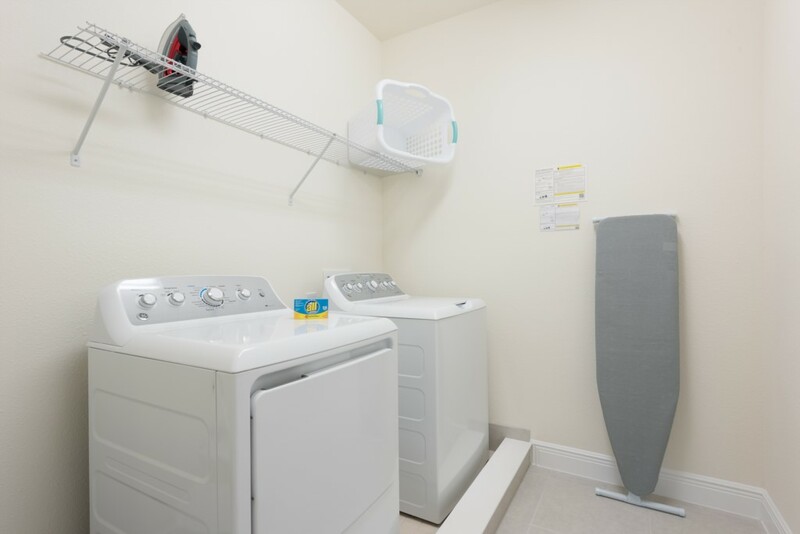 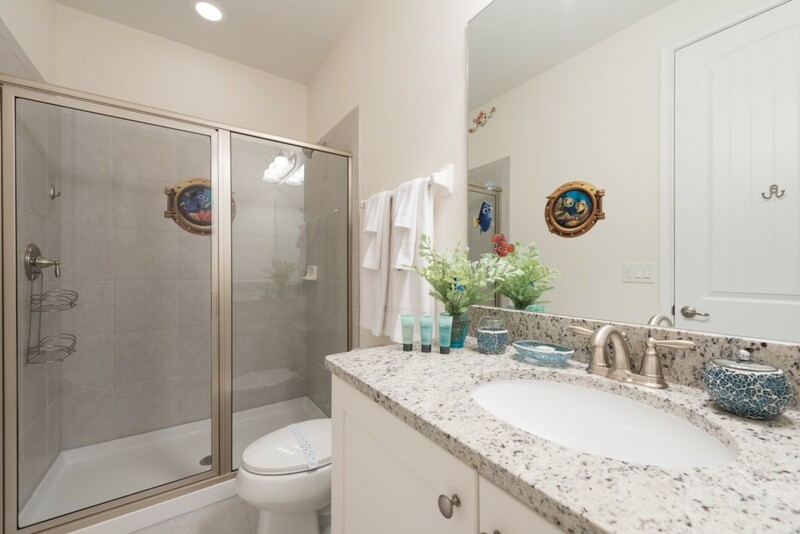 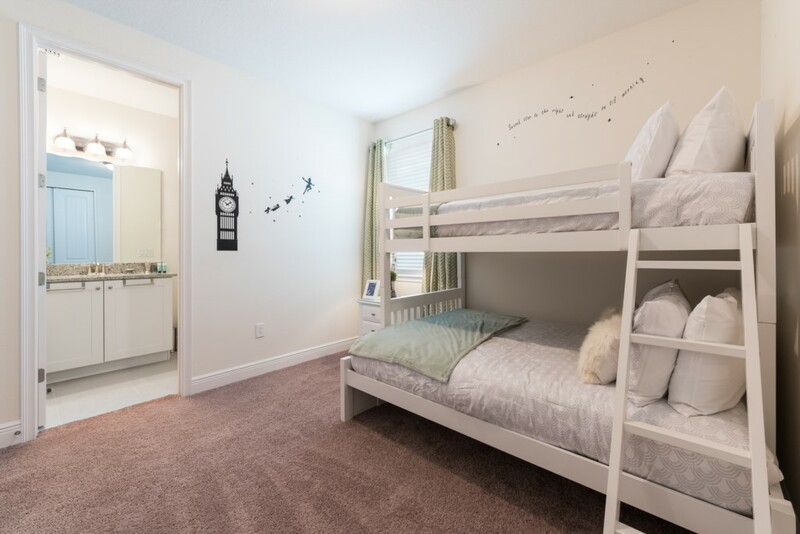 Sleeping up to 12 people, this home provides bedrooms across both floors including 4 king sized suites. 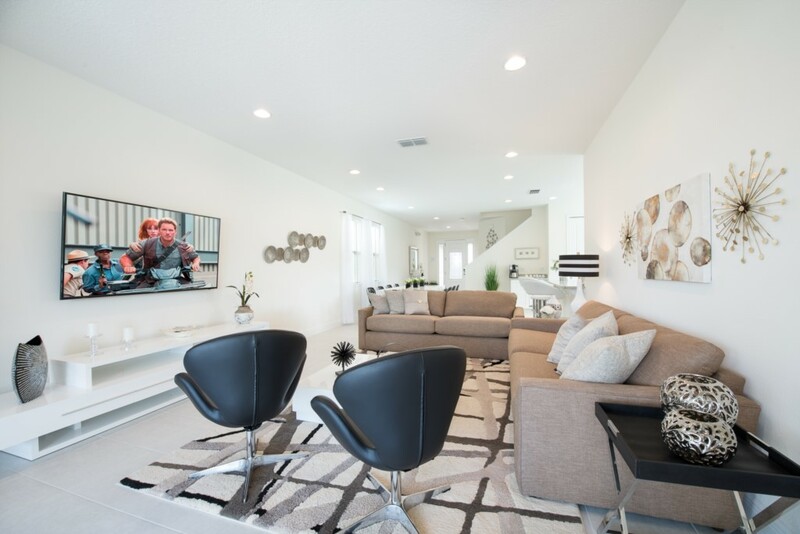 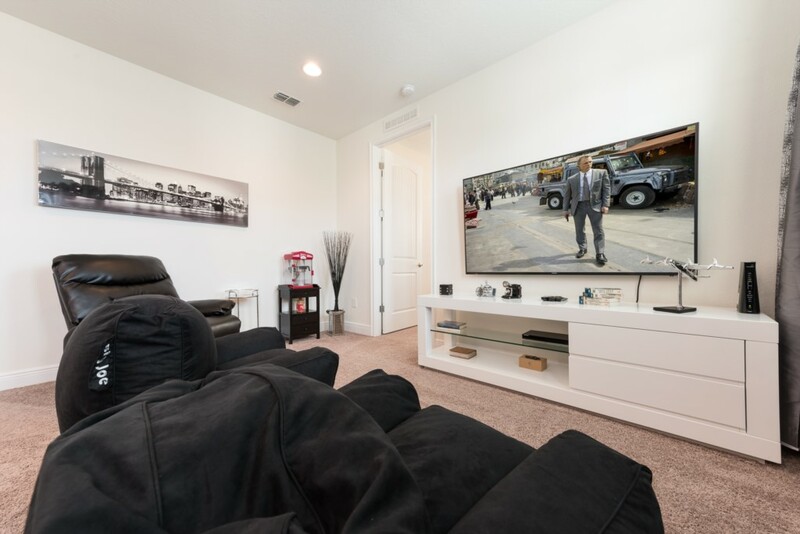 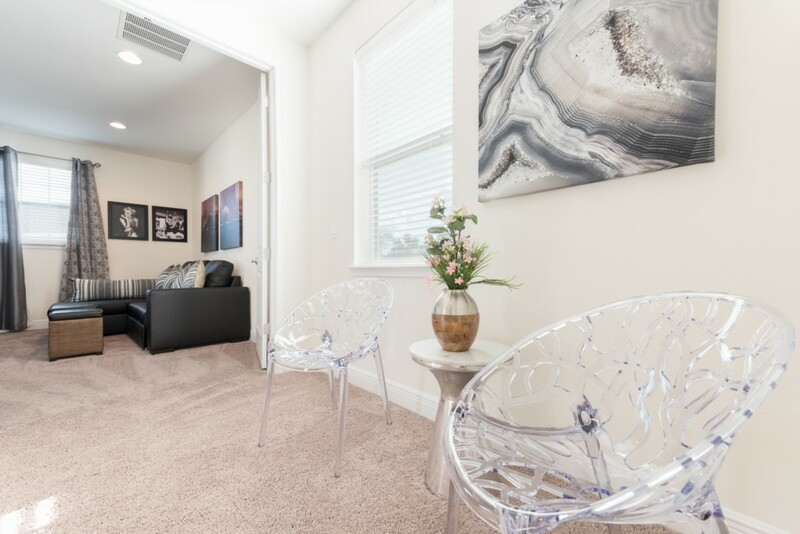 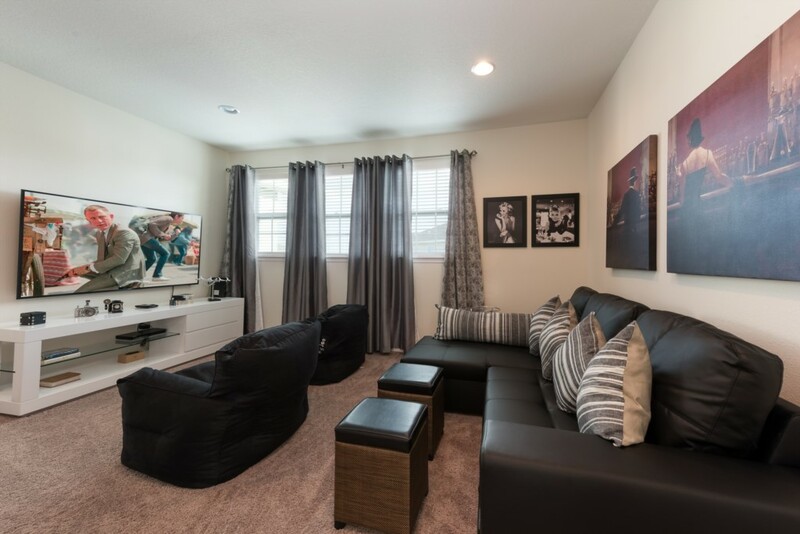 The upstairs entertainment loft area provides hours of fun for the whole family with a large flat screen TV to watch your favorite movies and TV shows on and 2 bean bag chairs with built in speakers! 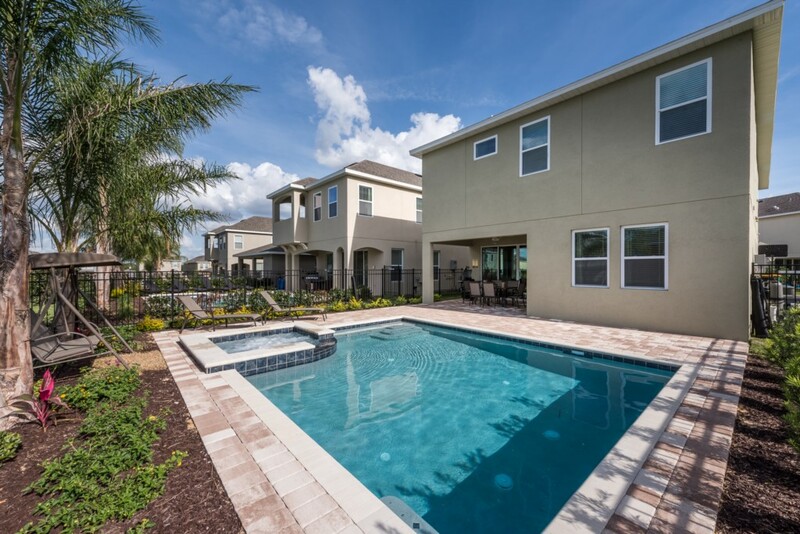 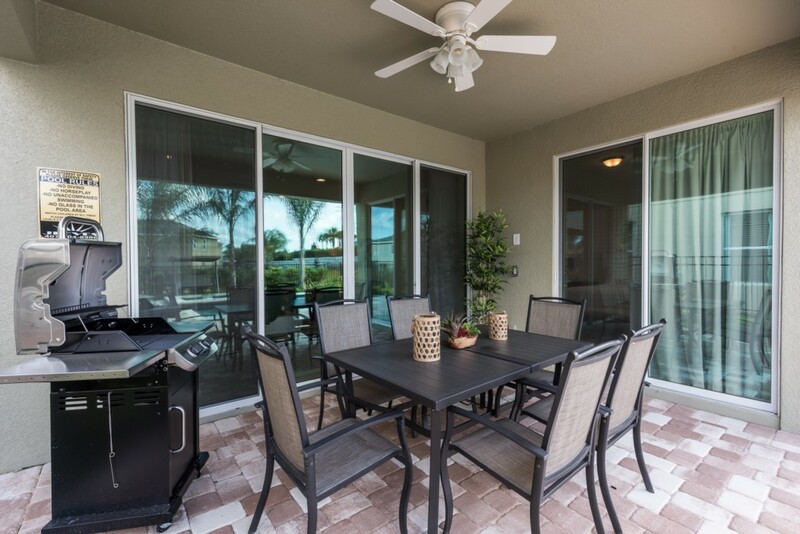 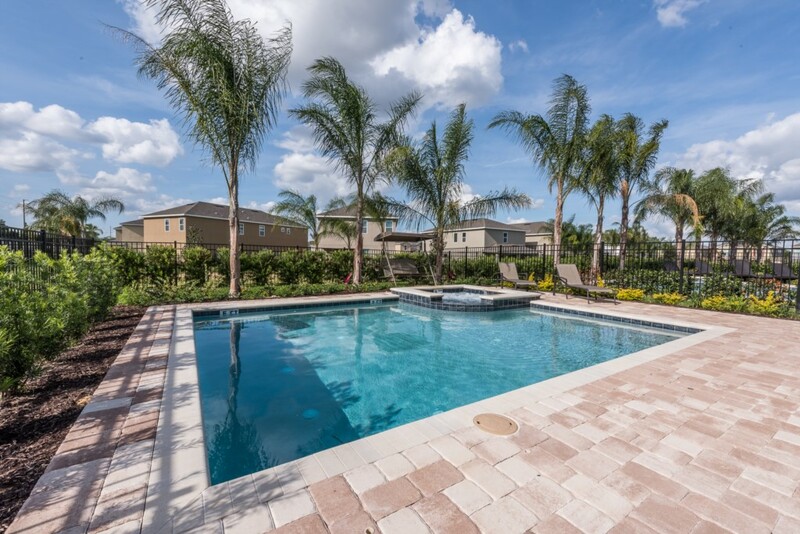 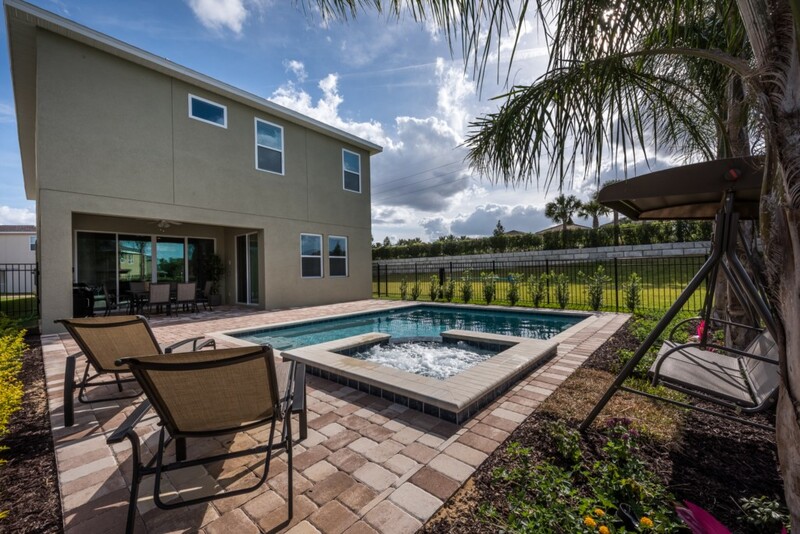 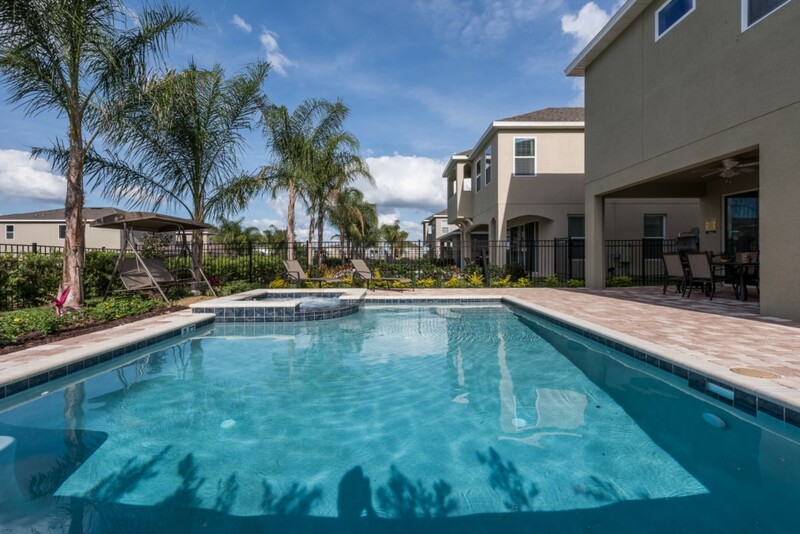 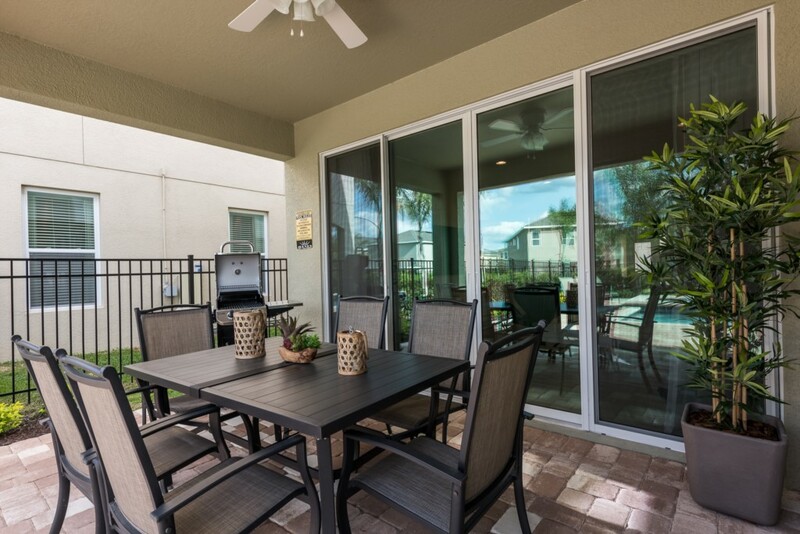 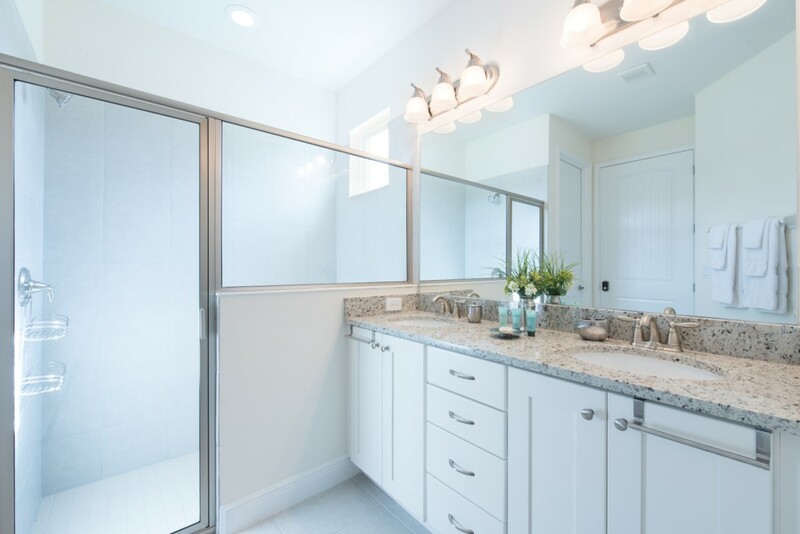 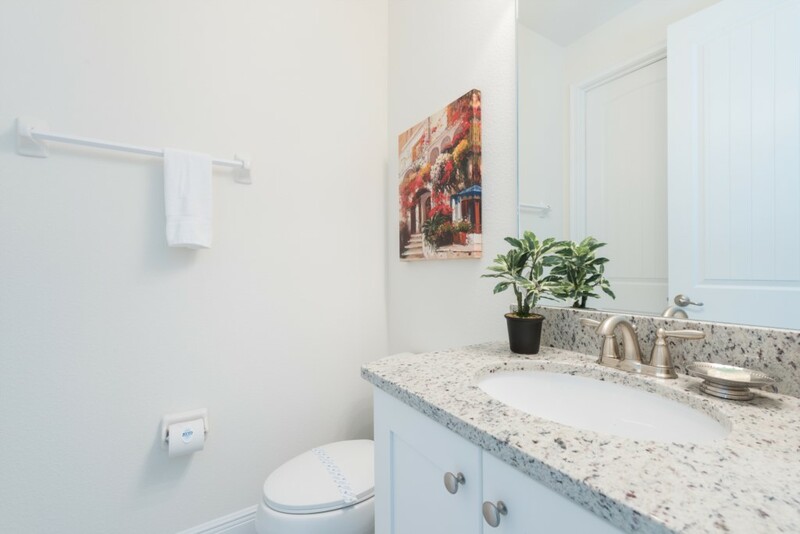 The private swimming pool and spa right outside your patio doors is the only way to experience Florida's warm weather and sunshine at any time of the day!